Los Angeles, CA, United States (4E) – Caitlyn Jenner’s latest sneak peek for her “I Am Cait” Season 2 premiere shows the former Olympian opening up about dating a man but she noted that he has to be very special. Jenner and her group of friends went on a cross-country road trip in a bus and the conversation was mainly about dating and relationships. The reality star’s hairstylist, Courtney Nanson , said that Jenner is quite attracted to the idea that a man takes care of her in a relationship. The boyfriend of Nanson dropped her off at the home of Jenner and he told her that the former Olympian should roll her windows up before she goes out to drive as it is starting to rain. The 66-year-old then told Nanson jokingly, “I’ve got to get me one of those!,” referring to her hairstylist’s boyfriend. Also, one of Jenner’s ex-wives, Kris, said on “The Ellen DeGeneres Show,” which she appeared on this Tuesday, said that it is confusing for her to see or know about Jenner dating men. Kris did say, however, that she just wants her ex-husband to be happy. 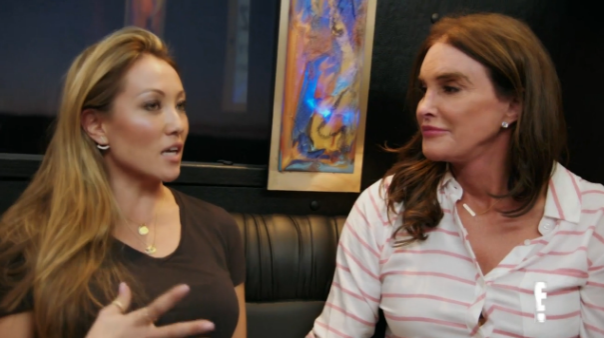 “I Am Cait” Season 2 will be premiering on Sunday, 9 P.M. on E!